The Draper 79 x 121" Dress Kit for Ultimate Folding Screen without Case - Make your presentation one to remember. Create a professional, theatre-like appearance by draping your Ultimate Folding Screen with an eye-catching velour Dress Kit. Drapery curtains surround the viewing surface, pulling the audience's focus to your presentation on the screen. 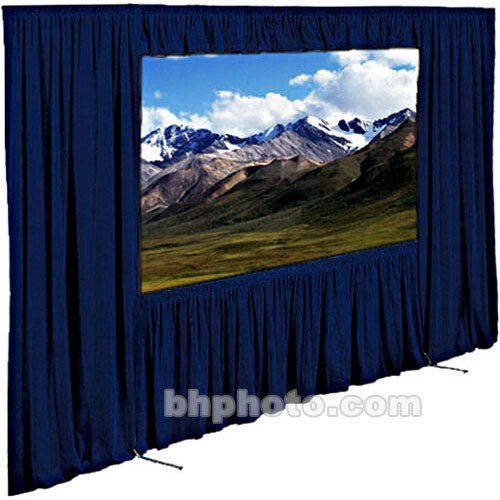 All Ultimate Folding Screen Dress Kit fabrics are flame proofed, meeting fire safety codes. In addition to framing your presentation, the velour curtains will hide projection equipment, shield projector light from the audience, and help eliminate ambient light in the projection area. Note: Does not include case. Sold separately.